Established in Michigan by PA 89 of 1977, library cooperatives were created to provide member libraries with access to resource sharing, training, communications, and library development. More details on our history can be found here. 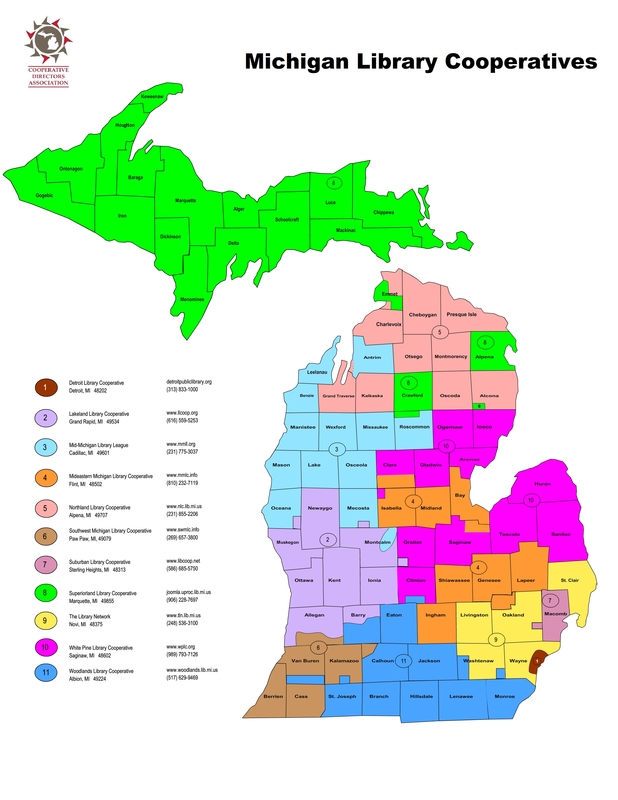 Michigan’s library cooperatives are funded by a portion of state aid based on the population served by the cooperative and a portion of state aid paid to member libraries for the purchase of cooperative services. The cooperative approach preserves local initiative and control while taking full advantage of the wealth of resources that a larger service area makes possible. Michigan’s eleven regional library cooperatives work in concert with partner organizations to facilitate access to library resources, programs and services throughout the state of Michigan and the nation. Each Library Cooperative is governed by a nine-member governing board. The Governing Board manages the cooperative and enacts bylaws, rules, and regulations as necessary.